When you fall in love with a brand, it is pretty obvious that you love it. I talk about Girls with Attitude all the time now, they have taken over my brush collection, stormed into my eyelash draw and their palettes have a great impression on me. 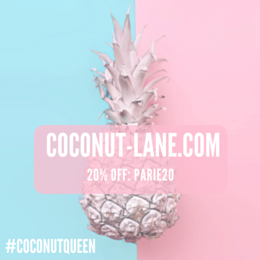 If you haven't ever visited their website, you must or look out for them in Primark. It is a brand that offers incredible quality products for a fraction of the price, I am yet to discover something that I dislike. They very kindly sent me their newest releases and I had to try sooo hard to not use them until I take photos. If you were to look at the state of this palette now, you would be ashamed! 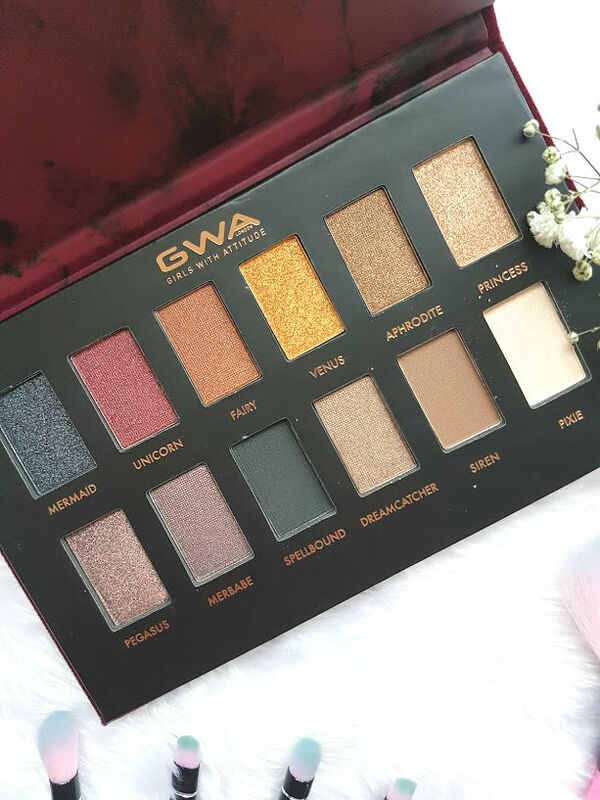 I am obsessed with GWA brushes, the eye brushes that I currently have from them are very well loved and used. 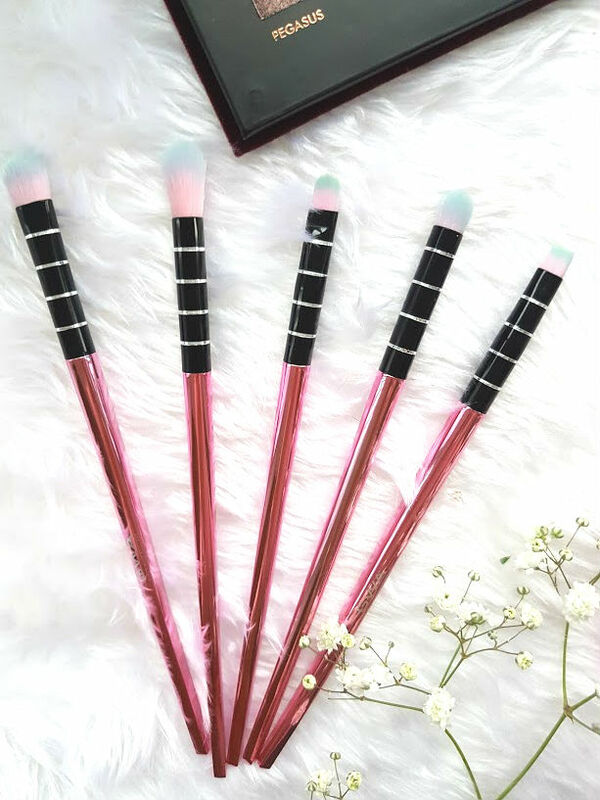 This Flamingal collection doesn't disappoint either, the bright, metallic handle holds some of the softest brush heads I have ever come across. I find GWA brushes really easy to clean compared to good old Real Techniques, they don't shed or take a good old scrub. 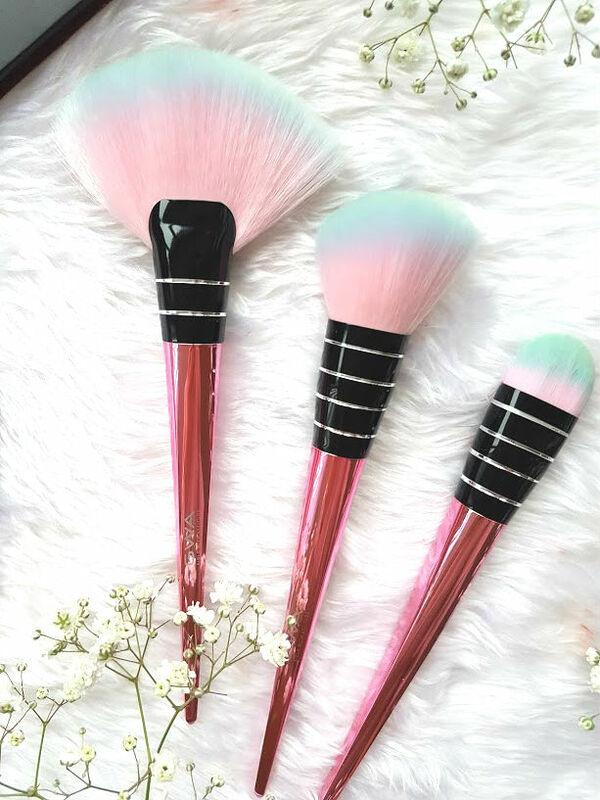 The oval face brush (£6.99) is perfect for applying foundation all over the face, it doesn't soak up much product and helps to blend everything in. I've been using the angled bronzer brush (£8.99) for powder, its a lot more dense then the one I have now so packs the powder on rather than just a light coat. The highlighter obsessive inside of me, can't get enough of fan brushes - they make applying both liquid and powder highlights so much easier. This is larger and thicker than others that I have but is surprisingly easy to use. It takes the product lightly and applies so beautifully to the tops of cheeks. The eye brushes also do not disappoint, each one has a particular job but I tend to just grab what I deem the best for the (simple) eye look I desire. The second one in on the picture is great for blending out in the crease and the very last one is great for creating a cut crease, which I have been loving to do at the moment. Each brush is great to use for different things, I love how soft these are and help to pack on the colour. 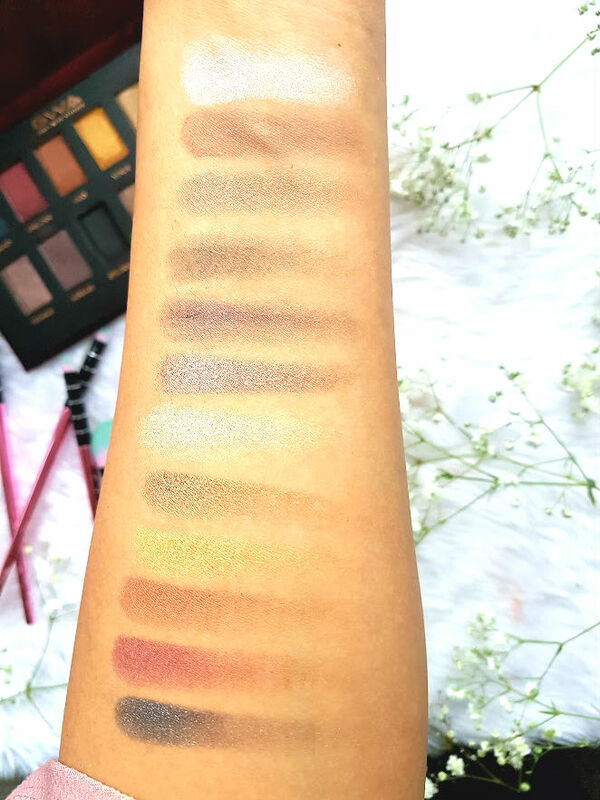 The Fairytale Eyeshadow Palette (£16.99) has fast become a favourite of mine, in fact it is the only palette that I have bought home this week from university. The shades in the palette are so versatile and can be worn a numerous of different ways. Each shadow is pigmented to the max and applies on the lid like a dream. My favourite shadows have to be Dreamcatcher, Siren and Unicorn. These three work really well together and look so natural yet the shimmer in them makes your eyes pop. I experience a tiny bit of fallout when I used these the first time round but the second time I made sure to tap off the excess and had zero fallout. 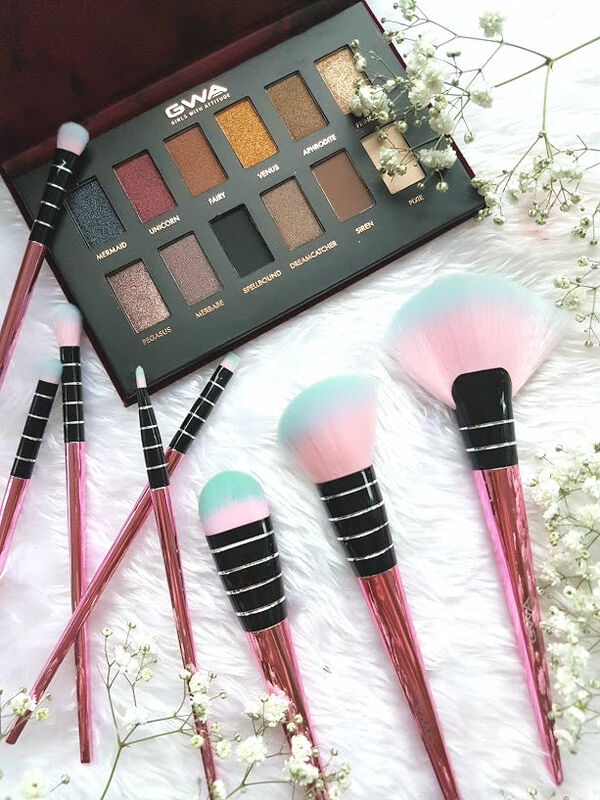 The outside of this palette is encased in velvet, making it very luxurious for the price and the red is just like Snow White's apple - I love it! I kind of wish there was a mirror in this, as it would make it ideal for travelling, I might just buy one and stick it inside the lid to make it so easier. GWA you have stolen my heart yet again and I love you for it!